Posted: June 14, 2011 | Author: Scott James | Filed under: 3. Food Security |Comments Off on What are we eating? I was recently reorganizing my workshop when I came across our stack of potato tower buckets that I scavenged from our local bakeries and delis. 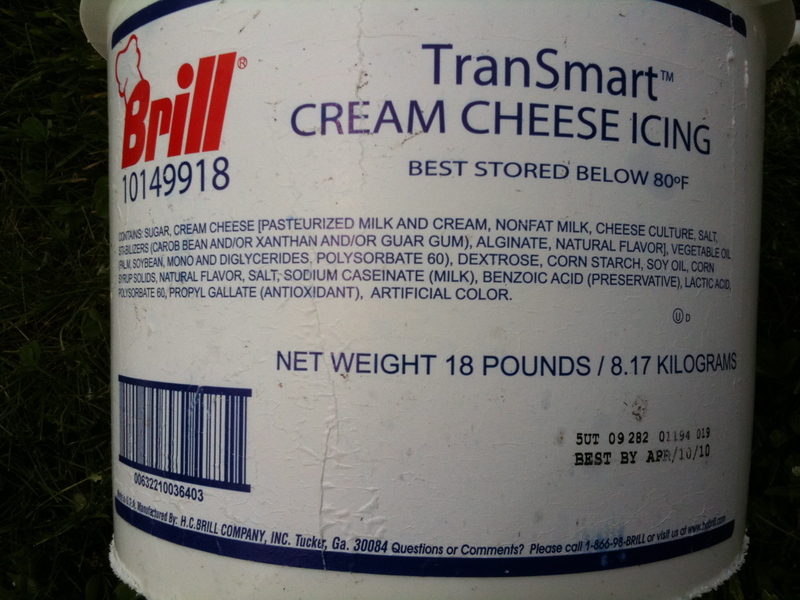 One of the buckets for “cream cheese icing” caught my eye, specifically the laundry list of chemical ingredients. We’re literally killing ourselves with these food-like substances masquerading as real food. The only true purpose of these chemical compounds is to make corporations money; there is no effort made here for health, beauty, or taste. Ugh.